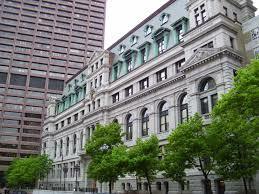 The Massachusetts Appeals Court issued an important decision this week on appealing a zoning decision in Massachusetts. This case demonstrates the critical importance of timely appealing such a matter. The case, McIntyre v. Zoning Board of Appeals of Braintree, is included below. The facts of this case are fairly straightforward. In Braintree, a building inspector (who was responsible for enforcing the city’s zoning requirements) issued a building permit. An abutter of the property that received this building permit appeal this decision. This type of appeal, commonly known as an administrative appeal, is allowed under Massachusetts law and usually must be made to the town or city’s zoning board of appeals. This type of appeal determines whether the building inspector (or zoning enforcement officer) correctly interpreted the applicable zoning requirements. An administrative appeal is also allowed when the zoning officer refuses to enforce a zoning requirement, and an aggrieved party believes that this non-action violates the zoning requirements. An administrative appeal is different than a request for a variance, where a property owner is seeking an exemption from a zoning requirement. An administrative appeal simply determines whether the applicable zoning requirements were correctly interpreted. Here, the party seeking to appeal the building permit filed their appeal forty-four days after learning about the building permit . . . well after the thirty-day deadline. To avoid dismissal of their appeal, this party tried a creative argument. Under Massachusetts law, if a zoning board of appeals fails to issue a decision on an administrative appeal within 100 days after the filed appeal, a party can win their appeal through a process known as constructive approval. In this case, the board of appeals held that the party failed to timely file their appeal of this administrative decision. However, the board failed to issue its decision within the 100 day deadline. As such, the party argued that a constructive approval occurred. This party argued that, because a constructive approval occurred, it did not matter that they missed the original thirty-day deadline. The Appeals Court rejected this argument, holding that a party needs to meet the thirty-day deadline in order to pursue an administrative appeal. Although constructive approval is a recognized means of winning an appeal when a board of appeals fails to act, this is not an excuse for ignoring the thirty-day deadline under G.L. c. 40A, § 15. This case has an important lesson for appealing a zoning decision: deadlines matter. This is in keeping with other Massachusetts decisions, where the failure to satisfy such a deadline can be fatal to one’s case. If you need assistance with appealing a zoning decision, contact me for a consultation. This entry was posted in Uncategorized and tagged zoning, zoning appeal. Bookmark the permalink.